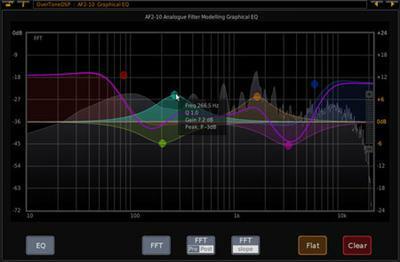 A versatile graphical EQ with a wide range of zero latency analogue modelled filters and realtime FFT display. Many digital EQs, including those of some popular Digital Audio Workstations can have an artificially cramped filter response, especially at high frequency settings. This is often cited as a reason for the digital sound of some equalizers.